The Kegtron is here to keep an eye on your keg and make sure that the beer keeps flowing, whether it’s a party or just a quiet night of drinking. It works with any smartphone and with any keg. It will sit between the keg and the tap, using an internal flowmeter to measure how much liquid comes out of the keg. The wireless processor sends that information to the companion app. Installation requires only some tubing to feed the keg into the monitor. If you’ve ever run out of beer, you know the disappointment, but that will be a thing of the past. 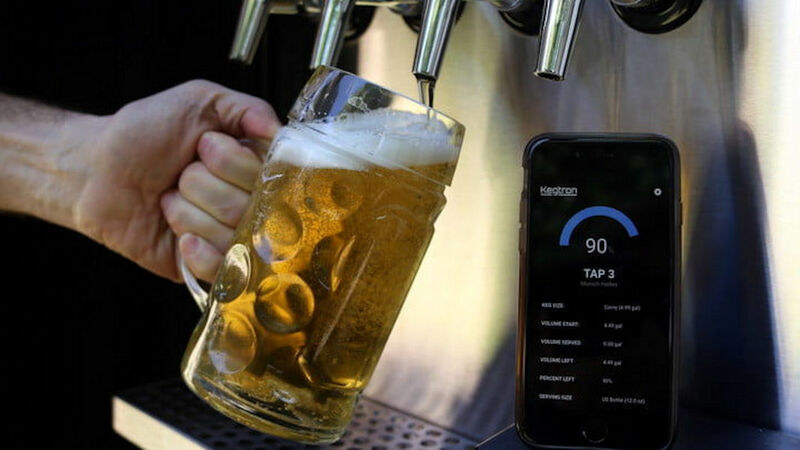 The companion app for the Kegtron can wirelessly track the number of pours left in a keg so that you know ahead of time when you will need to replace it. That’s pretty cool all by itself, but it goes a step further. The app will also display information on the beer, like the name, a description, the keg size and the starting volume of the keg. So let the beer flow knowing that this device will keep you in brew forever. The Kegtron promises to bring “intelligence to your kegerator.” Which is good, because, after so many drinks, you might be lacking in intelligence.